A major breach of the Juniper Networks computer system has officials in the U.S. worried that the hackers are working for a foreign government that has been able to spy on encrypted communications of the government as well as private companies for the last three years. The FBI started its investigation of the breach, which involved the hackers installing a back door on the computer equipments, said U.S. officials. Juniper disclosed the breach on Thursday as well as a security patch that it was urging its customers to use to update all their systems calling it the highest priority. U.S. officials are concerned that sophisticated hackers who were able to compromise this equipment could use this access to get into any business and or government agency that was using it. One official from the U.S. described it as being similar to stealing the master key that will get you inside any government building. The computer breach is thought to have been carried out by a foreign government said U.S. officials because of how sophisticated it was. The officials said they are sure that spy agencies in the U.S. are not behind this back door. Russia and China are amongst the governments suspected of carrying out the hack though U.S. officials cautioned this investigation is far from reaching its final conclusions. It is not clear yet what or if any classified data was affected, but officials in the U.S. said the Juniper Networks equipment is used so widely that it might take quite some time before a determination is made to what was the extent of damage. 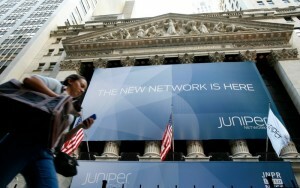 A senior official in the administration has said they were aware of the recently announced vulnerabilities by Juniper. Juniper has remained in close contact with the U.S. Department of Homeland Security. The administration is committed to enhancing the national cybersecurity by increasing its cyber defenses, disrupting activity of our adversaries and effectively responding to the different incidents when they take place.